Geoff Weisbart is one of the state’s most respected courtroom advocates and has successfully represented an impressive roster of clients in matters involving substantial financial and business risks. 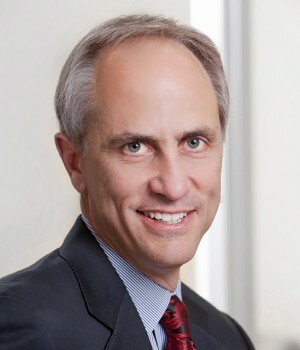 Since 1986, Geoff has tried numerous jury and non-jury trials in civil claims involving contracts, partnerships, real estate, fiduciary duties, deceptive trade practices, employment, insurance, sexual torts, administrative issues, commercial aviation disputes and complex divorces. He has successfully represented clients in appeals before the Texas Supreme Court, the United States Fifth Circuit Court of Appeals and the Texas State Court of Appeals. Geoff is also proud of his admission into the American Board of Trial Advocates. Relying on his background as a Commercial and ATP rated pilot and flight instructor, Geoff handles a wide range of matters affecting aircraft owners, operators and pilots, including business-related litigation and FAA compliance issues. Obtained a successful jury verdict and damage award in a business dispute involving complex statute of frauds issues. Obtained a successful jury verdict for a sports league, receiving a multi-million dollar judgment for the league. Obtained a successful jury verdict against the EEOC, receiving a take nothing judgment for a client accused by the government of discrimination. Obtained a take nothing judgment jury verdict for a family in response to a lender’s claim for a deficiency judgment, following a foreclosure of the family ranch. Obtained jury verdict in defending a national banking institution against claims of mismanagement of trust property. Prosecuted claims against an insurance company to a successful jury verdict and recovery for business damages for a corporate client. Prosecuted and successfully tried a damages case involving business interruption damages due to pollution contamination. Successful trial result concerning the repair of a turbo prop engine, obtaining a specific finding of negligence against an FAA repair station. Successfully represented, through appeal, two major telecommunications companies against class action claims stemming from an advertising dispute. Represented nationwide classes of plaintiffs through successful certification of class action settlements. Sued multiple Internet providers to determine the source of anonymous posters attempting to negatively manipulate the stock price and business opportunities of a public company – conduct stopped. Represented multiple parties in complex divorces and trials involving significant assets and issues involving complex tracing, family-limited partnerships, corporate buy-sell agreements, breach of fiduciary duty claims between husband and wife and international property disputes. Won a landmark decision from the Texas Supreme Court changing a commercial landlord tenant law affecting the calculation and mitigation of damages under a lease default. Achieved defense verdicts in cases involving company’s drivers as well as other traditional premises liability cases. Handled multiple real estate disputes, including partition lawsuits involving commercial interests, restrictive covenants and landlord/tenant disputes. Represented multiple executives and companies in trade secret and covenant not-to-compete issues in injunctions, trials and appeals. Routinely represent executives and companies in severance disputes. Multiple engagements involving complex marital estate litigation. Prosecuted and defended accounting malpractice claims. In pro bono matter, successfully represented four children who were sexual assault victims and ultimately wrote, lobbied and helped pass a first-of-its-kind Jane Doe Act for Texas in 2010. Airline Transport Rating issued from the F.A.A.